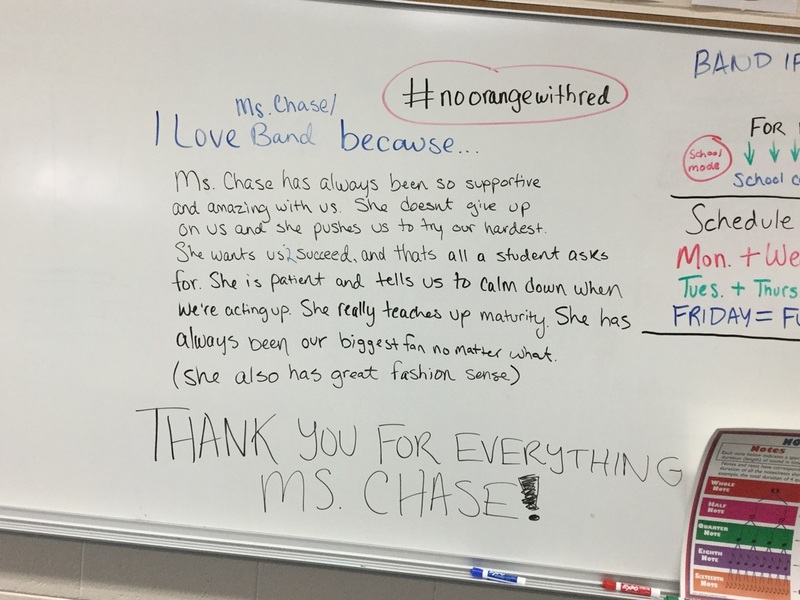 I have been in band since 5th grade, and each and every experience has been rewarding, from my peers in the clarinet section to our amazing band director, Ms. Chase, who values each member of the band so that we know that WE ALL MATTER. Band is something I have always wanted to do, and I intend to stick with it until the very end. Music is such a prominent part of my life, and the jokes and fun we share in band make it all the more rewarding.